PingPong Feedback is an artistic experiment with PropulseArt software. It aims to be both an installation and a performance piece. Two DVJs* operating from separate locations interact creatively over a high-speed IP network. 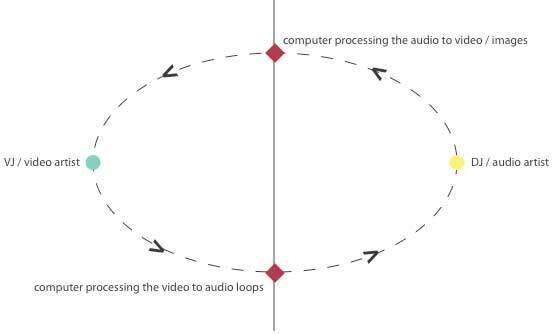 One artist modifies the audio and video input and then sends the results back to the other, who does the same in turn, creating a continuously evolving loop of sounds and images. Furthermore, viewers have the chance to add their own content to the performance by sending photos, audio or video by mobile phone. 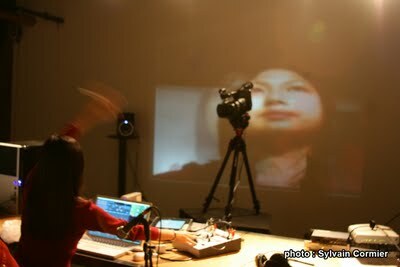 It will also be possible to capture audio and video at the performance venue with microphones and video cameras. The main idea is to test the effects of feedback and signal continuity, and how the addition and manipulation of each artist and/or audience-generated input may affect the process and outcome of the performance. 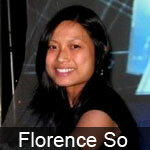 Florence So is a Montreal-based film director, VJ and systems engineer. She has been producing short films and video projects since 2002. She has also earned a grant from the NFB under the Filmmaker Assistance Program. Her films tell personal stories that combine reality and fantasy; in her video work, she incorporates narrative elements into the visuals as a means of depicting and commenting on human behaviour. The founding member and director of TIND (thisisnotdesign), a not-for-profit group of artists based in Montreal. After graduating from the UQAM school of design, he went on to produce video art for the Dérapage festival held at the university. His contribution earned him great acclaim and invitations to several international festivals. His work includes experimental techniques, in both analog and digital video, such as scratching directly on film and manipulating data compression artifacts. He focuses particularly on the rhythmic relationship between images and music, with the aim of creating energetic compositions full of striking contrasts. He also now devotes himself to designing sounds and music to include in his videos. This new practice resulted in the establishment of a new musical group: TINM, THISISNOTMUSIC. 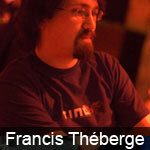 His specialties include video productions, VJ performances, interactive installations and audiovisual experiments. He is also involved in artistic events and centres around Montreal such as Dérapage, Minute Moments, SAT, MixSessions and others.